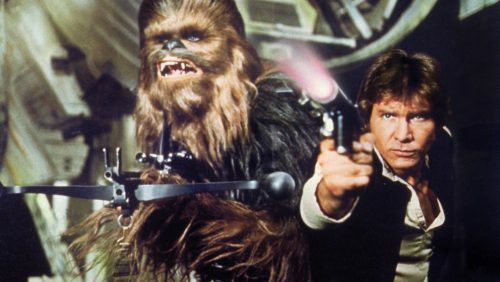 For a long time it was established EU canon that Chewbacca was freed by Han Solo and owed a life debt to him. While the Solo movie included many of the bullet points that define Han Solo’s past, no mention at all was made of the life debt. So, what does that mean? Click through for a discussion! ← TBS6 [P3] 4-LOM IN STOCK At JTA Sponsor Big Bad Toy Store! YouTube Channel Screen Rant is clearly following the Hasbro playbook for perfectly timed releases and released their Rogue One pitch meeting video today! And it’s really funny. I think we all need some fun now, so check it out! And don’t forget, it’s a parody, it’s meant to be lighthearted. Which doesn’t mean the video doesn’t have a kernel of truth in it. But see for yourself! Lucasfilm and men’s streetwear clothing line, Billionaire Boys Club, created a Star Wars-themed capsule collection in celebration of Solo: A Star Wars Story. Watch for the capsule to debut via Billionaire Boys Club’s web store and NYC flagship in June, with imagery of the full collection coming soon. Hypebeast has the full story. It’s now time to check out the Sand People figure. But why was his name plural? 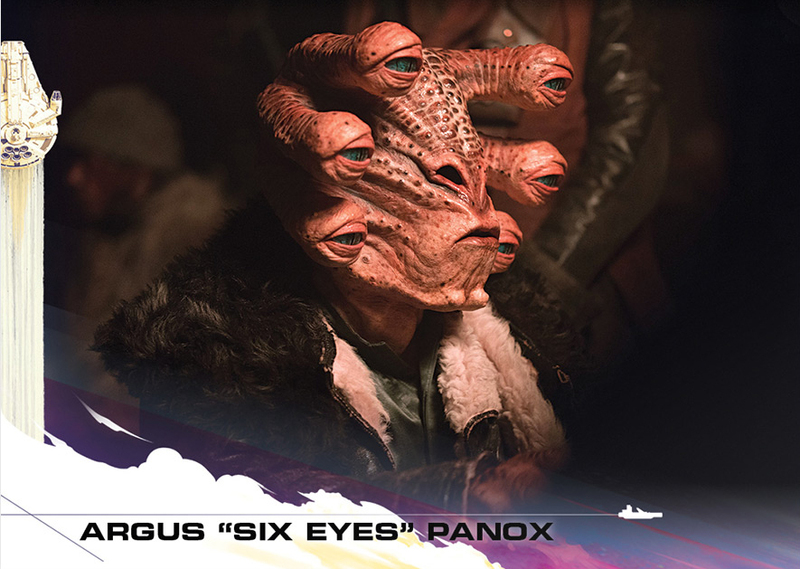 Check this vicious Star Wars villain out in our Research Droids Reviews and be sure to add your own experiences to the conversation! Reminisce your own childhood stories of this figure in our comments. Share your life-changing vintage Kenner adolescent experiences with us! 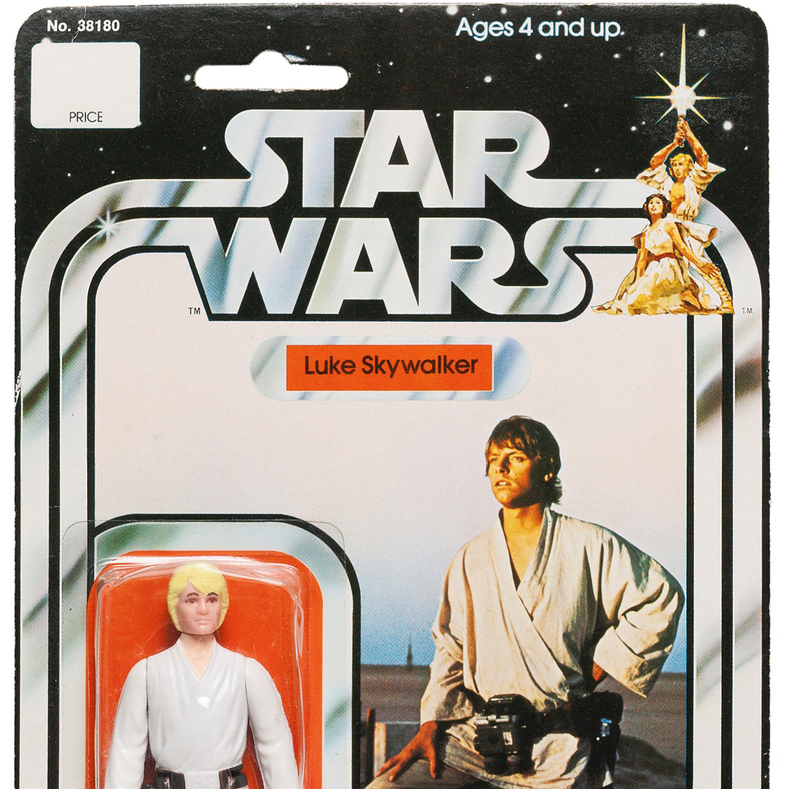 ← Also Stocked: TVC's Han Solo (Bespin Outfit) + More! 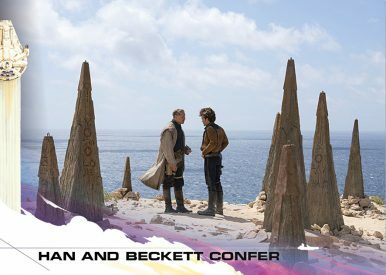 Even though Solo is currently in cinemas and dominates the news, there is some Episode IX tidbit today. 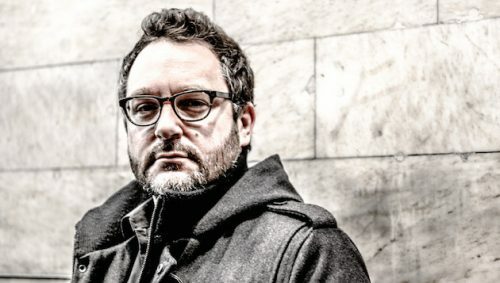 Colin Trevorrow, who was originally slated to direct Episode IX, has recently given an interview to Empire Magazine. 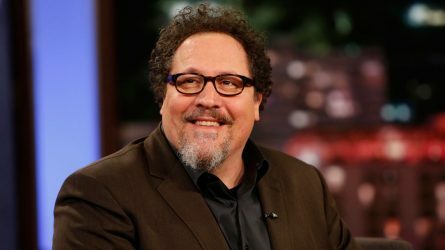 And while he did not go into details, he had at least something to say about his work for Lucasfilm and his version of Episode IX. And then Colin Trevorrow tweeted something that might let us all know what he thinks of current Star Wars. Mark Hamill chimed in too! Click through for more details. ← Kessel Run Millennium Falcon Han Solo Without The Millennium Falcon! 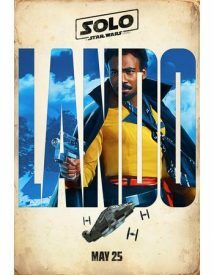 Also Stocked: TVC's Han Solo (Bespin Outfit) + More! tunghori also has the marvelous Han Solo (Bespin Outfit) in stock. He has added a few new figures and still has a ton of Jabba’s Sail Barge related figures still in stock! Check out his complete listings! 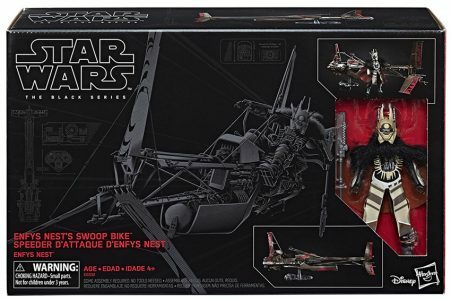 Amazon has their pre-order page live for the upcoming The Black Series 6-Inch Enfys Nest & Enfys Nest’s Swoop Bike set. Click here to secure this set. ← Shop Disney Adds Two 3.75" Wind-Up Droids From Solo: A Star Wars Story! Hasbro has officially revealed products that we have all known about for weeks now. Check out the full gallery on our Facebook page! The PRESS RELEASE can be read by clicking through as well. Shop Disney Adds Two 3.75" Wind-Up Droids From Solo: A Star Wars Story! This is SO COOL! Shop Disney/Disney Store has just put up for order two new wind-up 3.75″ droids from Solo: A Star Wars Story. Imagine a four-pack of these without the wind-up features! The most amazing thing is that you get two new figures for less than $10! Place your order today! Special thanks to JTA reader Mike K. for the alert! ← Force Link A-wing Fighter And Pilot Revealed! The box office estimates for the Solo Memorial Day opening weekend are in. And they are not pretty. According to Boxoffice Mojo Solo had a 3-day opening weekend of $84.7 million and a 4-day opening weekend of $103 million. Which means Solo is the first live action Star Wars movie ever in danger of becoming a serious flop. What does that mean? What are the reasons? Click through for a discussion! Force Link A-wing Fighter And Pilot Revealed! Retailer ActionFiguren24 has put up for order what they’re calling a Walmart exclusive Force Link A-wing Fighter and Pilot. Click through for the translation on their site. Special thanks to JTA reader Sven from Berlin for the alert! JA new image of The Black Series [Phase III] Val has surfaced on Instagram. Check it out! ← 3.75" SA Snowtrooper Commander Hits eBay: New Weapon? Jedi Temple Archives would like to honor the American men and women who served our country and lost their lives doing so. We are grateful that they defended our many freedoms and rights. GameStop Has Supreme Leader Snoke (Throne Room) For Less Than $15! Here is a deal! The Supreme Leader Snoke (Throne Room) exclusive is only $14.99 at GameStop! Special thansk to Sean. C. for the alert! Unreleased Forces Of Destiny Padme Revealed! A previously unrevealed Forces Of Destiny product has hit eBay, and it’s already going for crazy money. 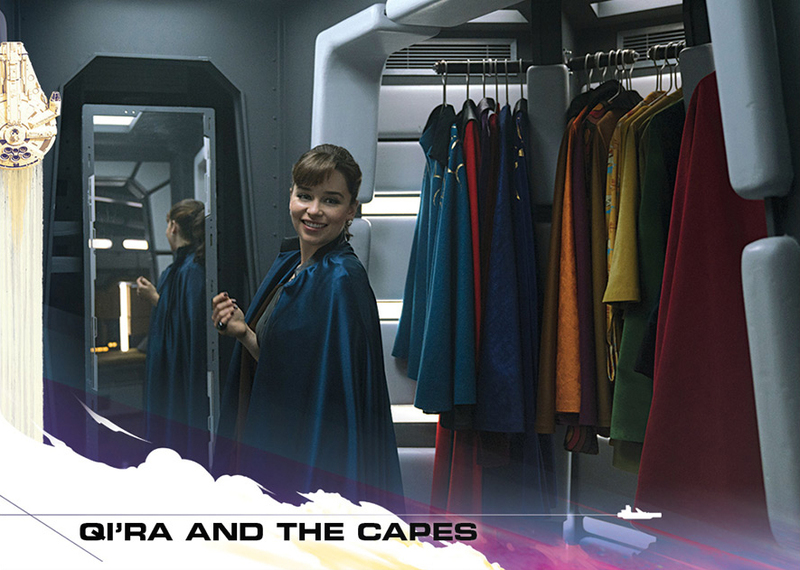 JTA reader Michael F. alerts us to a Padme Amidala based on her Episode I and Episode II outfits. It remains to be seen if this will make it out as Forces Of The Destiny has hit a wall at retail. It’s a beautiful set. Hopefully, it’s waiting in the wings somewhere. Coming just five months after The Last Jedi was released in theaters, a new Star Wars movie has arrived. Solo: A Star Wars Story, the tenth live action Star Wars film to be released theatrically, had a notoriously troubled production but how did the final film turn out? 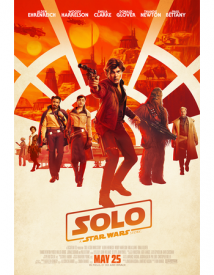 Click the banner below to read JTA’s full review of Solo: A Star Wars Story. BEWARE: THIS REVIEW CONTAINS FULL SPOILERS. The latest Forces of Destiny episode was released on Friday already – but maybe has flown somewhat under the radar due to some other Star Wars movie being released on that day. 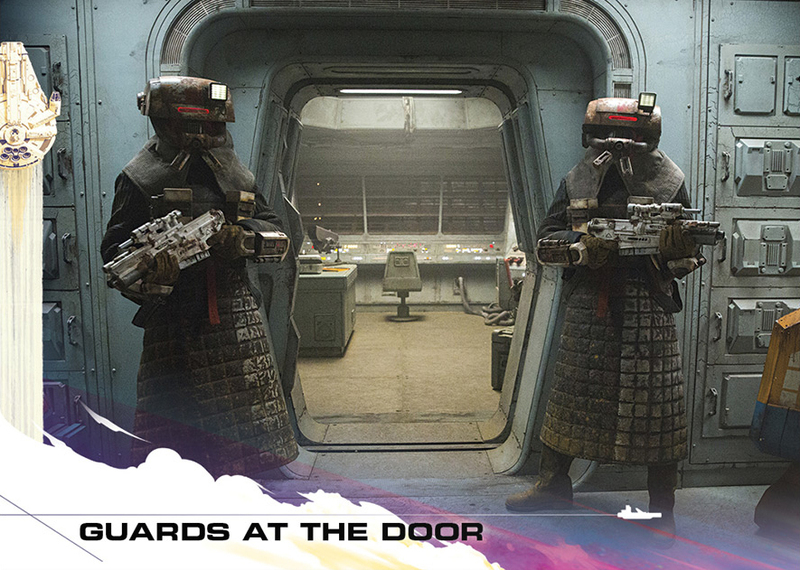 Anyway, check out “Triplecross”, it’s a fun episode featuring Qi’Ra, Hondo and IG-88. The ending is somewhat anticlimactic perhaps, but Hondo is fun as usual! Leave your thoughts in the comments! The Vintage Collection TIE Interceptor IN STOCK With Prime! It’s about $30 more than when it was first released, but the beautiful The Vintage Collection TIE Interceptor is in stock on Amazon with Prime for $79.99. (Get used to it. That’s how much these vehicles are going to cost going forward!) Special thanks to JTA reader Neil D. for the alert! Cinemascore has released their score for Solo: A Star Wars Story. And it’s an “A-” What that means for Solo’s box office results? Click through to find out more! HURRY! Order TBS [P3] 3.75" Elite Praetorian Guard Singles For $12.99! Hurry! Site sponsor Entertainment Earth is now offering the former Walmart exclusive The Black Series [Phase III] 3.75″ Elite Praetorian Guard singly for $12.99 each! These WILL NOT last long! Special thanks to JTA reader Scott M. for the alert! How Old Were You When Star Wars Episode IV: A New Hope Was Released? Here is a simple discussion that shouldn’t cause angst. Heck, who knows? Maybe it will. In our comments, tell us how old you were on May 25, 1977 — the day Star Wars was born. Feel free to use negative numbers if you weren’t even a thought yet! ← Happy 35th Anniversary To Return Of The Jedi! While the Memorial Day Weekend still lies ahead, there are already some early numbers for the Thursday screenings of Solo: A Star Wars Story. And they are the lowest numbers for a Disney Star Wars movie yet. Click through for details! 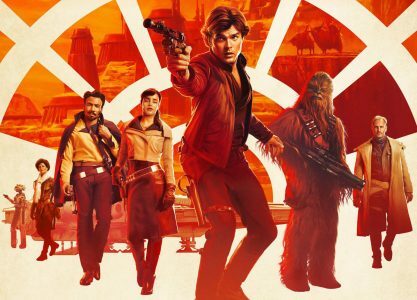 Update: Disney lowers box office prediction for Solo! ← Happy 41st Anniversary To A New Hope! Happy 35th Anniversary To Return Of The Jedi! Happy 35th anniversary to Star Wars Episode VI: Return Of The Jedi! It has the greatest cast of aliens of any Star Wars film. It’s my personal favorite and I am eternally grateful for Ewoks. Thank you for a wonderful finale, George Lucas! ← Hasbro Pulse Reveals Val For The Black Series [Phase III] 6" Line! Happy 41st Anniversary To A New Hope! 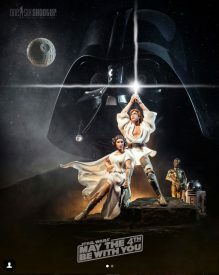 Happy 41st anniversary to Star Wars Episode IV: A New Hope! We celebrated a landmark anniversary last year with this film, but every year is worth celebrating this monumental film. Thank you, George Lucas, for making one of the greatest films of our lifetime and showing us that you and/or your involvement is pivotal when it comes to the Star Wars timeline. Hasbro Pulse Reveals Val For The Black Series [Phase III] 6" Line! Hasbro Pulses’ Instagram page reveals brand new figures in a smart marketing type of post in addition to teasing a yet unannounced figure! Val has been revealed as coming in The Black Series [Phase III] 6″ line. Check her out! ← My Thoughts On "Solo: A Star Wars Story"
Let’s look at the Darth Vader (Celebration III) exclusive figure. He is the focus of our Research Droids Reviews today! Be sure to leave your thoughts in our comments section, vote in the poll or even comment about it on our Facebook page. Click the banner below for the direct link to the review! As always, you can also send your review requests via email if you’d like to see something that we didn’t cover yet. My Thoughts On "Solo: A Star Wars Story"
I just got back from Solo: A Star Wars Story. Do you want to know my thoughts on it? Are you ready for the mentally ill Twitter trolls to begin their cowardice and tell you and me how we SHOULD feel about it? Then click through for more! 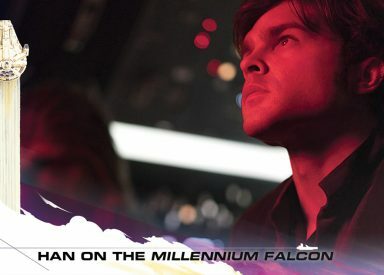 The Solo movie will have midnight showings in the USA later tonight. In other parts of the world the movie was shown one day earlier. I saw the movie earlier this afternoon here in Germany. Is the movie any good? Will you enjoy the movie? I don’t know, but I can tell you what my first impression is. This will be mostly spoiler-free, if you know the trailers, you won’t be spoiled at all. A spoiler article will follow later tonight. Click through for my first impressions! ← Prepare For The Solo: A Star Wars Story Discussion Tonight! 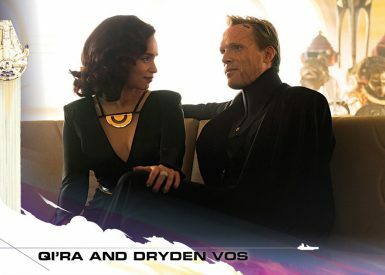 Prepare For The Solo: A Star Wars Story Discussion Tonight! To all of our readers, we hope you have fun communing with other Star Wars fans tonight to see Solo: A Star Wars Story. Be free to come to your own conclusions and feelings on the film. Whether you love or loathe the film, always let your opinion be the one that matters most to you. Remember, only Sith deal in absolutes. Boldly claim your freedom of thought, your freedom of expression and never allow monolithic ideologies dictate how you should view these films as a Star Wars fan. The early reports are stating that this is a FUN film. That’s what we need after the divisive The Last Jedi film. So, I hope you have fun tonight. Get ready to express your thoughts and feelings on the film tonight here with us. It’s going to be a great discussion! Thank you. ← Rumor Report: Obi-Wan Kenobi Standalone Film Villain Leaked? Sellers have begun putting The Vintage Collection Imperial Combat Assault Tank on pre-order on eBay. Many have asked when this is arriving and the speculation has been “summer 2018”. Per this auction, it looks like July could be the month! Special thanks to JTA reader Gregory G. for the alert! Rumor Report: Obi-Wan Kenobi Standalone Film Villain Leaked? 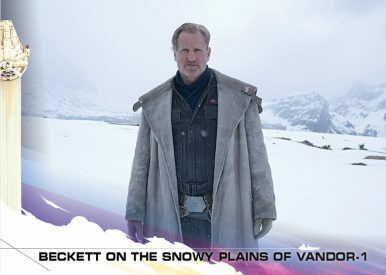 Site wegotthiscovered.com has posted an intriguing, albeit unverified rumor about who the villain is in the upcoming Obi-Wan Kenobi standalone film. If you’re not into spoilers, please stay away. And take all unconfirmed rumors as rumors until officially confirmed. Special thanks to friend Danny R. for the alert. 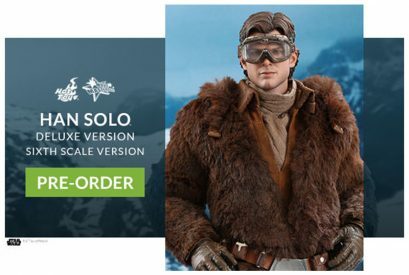 Hot Toys has just revealed a Han Solo one-sixth scale figure from Solo: A Star Wars Story. Check it out! It’s our 9 YEAR ANNIVERSARY today in our Research Droids Reviews. Since May 24, 2009 we have brought you 3,288 reviews each and every day without interruption! Today we thank Tamashi Nations for providing us with our 9 YEAR ANNIVERSARY review sample: the Yari Ashigaru Stormtrooper from the Meisho Movie Realization line! It’s the focus of our Research Droids Reviews today! Be sure to leave your thoughts in our comments section, vote in the poll or even comment about it on our Facebook page. Click the banner below for the direct link to the review! As always, you can also send your review requests via email if you’d like to see something that we didn’t cover yet. 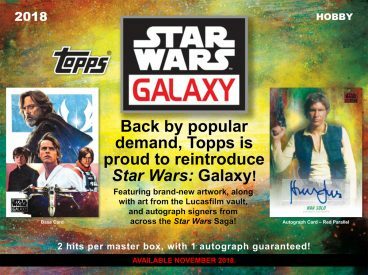 ← Sponsor Announcement: Dorkside Toys: Their Biggest Star Wars Sale Ever! I don’t know how long these new items have been out, but JTA reader and friend Russ T. sends us images of two cool new plush sets that arrived at his local Walmart a couple of days ago. I will kill for that cantina set. ← BREAKING NEWS! Amazon Taking Pre-orders: Yak Face, Klaatu Skiff, + MORE! 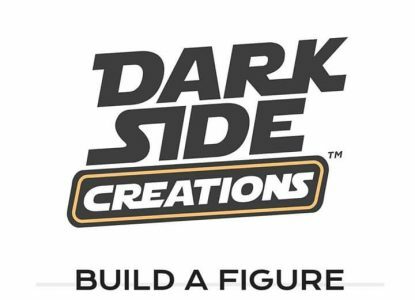 JTA sponsor Dorkside Toys is running their biggest sale ever on new The Black Series [Phase III] 6″ figures. Check out how much you can save! BREAKING NEWS! Amazon Taking Pre-orders: Yak Face, Klaatu Skiff, + MORE! This is quite unbelievable, but Amazon is taking/accepting pre-orders for the upcoming The Vintage Collection Scarif Stormtrooper, Princess Leia (Boushh Disguise), Yak Face and Klaatu (Skiff Guard Outfit) figures! Hurry before the pre-orders sell out! I successfully placed my order. Special thanks to rivesjunctionite for the alert! The Star Wars Show takes a few moments to discuss The Black Series [Phase III] action figures with the actors who played the characters! Check it out! Special thanks to Cybereye for the alert! It’s now time to review the vintage Kenner Ben (Obi-Wan) Kenobi figure. 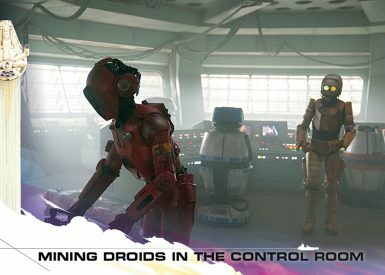 Let’s talk about him in our Research Droids Reviews and be sure to add to the conversation! Reminisce your own childhood stories of this particular figure in our comments with other readers. We want everyone to share their life-changing vintage Kenner experiences in these focused reviews! ← Are You Kidding Me? $21.99 For THAT!? Variety put their Solo cover story online earlier today. It’s a behind the scenes report about the troubled production of the movie. Not that many entirely new things can be learned from the article, but one detail is noteworthy. Click through for more details! Are You Kidding Me? $21.99 For THAT!? tunghori has restocked the Elite Praetorian Guard but it’s now $21.99 Madness! Special thanks to JTA readers Craig P. and Thomas P. for the alerts! ← New SH Figuarts Star Wars Figures Teased! Popular YouTube Channel “CinemaSins” has finally released their take on The Last Jedi. Their overall total Movie Sins counter for the movie is 121. Now remember, this is all in good fun! So, just in time before Solo takes over completely, one last reminder of the Star Wars movie from only six months ago. Have fun with the 20+ minute video! Let’s check out the vintage Kenner Stormtrooper. It was a necessary figure, but was it the best Kenner could do at the time? Let’s talk about this figure in our Research Droids Reviews and be sure to add to the conversation! Reminisce your own childhood stories of this figure in our comments. Share your life-changing vintage Kenner experiences with us! ← Happy 38th Anniversary To The Empire Strikes Back! HURRY! TBS6 [P3] Qi'ra (Corellia) IN STOCK At Hasbro Toy Shop! Hurry! 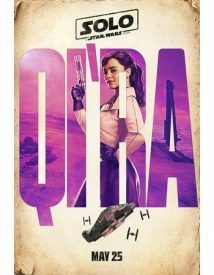 The Black Series [Phase III] Qi’ra is IN STOCK at Hasbro Toy Shop! Thanks to Agustin for the email!! 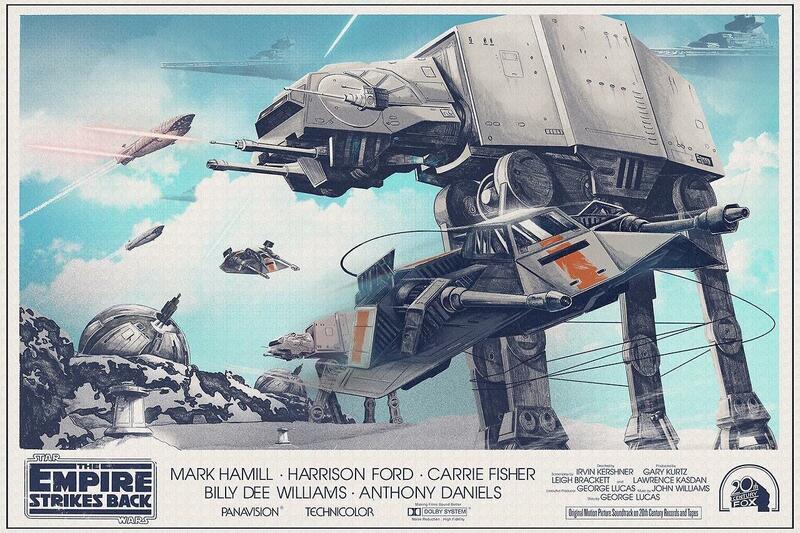 Happy 38th Anniversary To The Empire Strikes Back! It’s unbelievable we have reached the 38th anniversary of Star Wars Episode V: The Empire Strikes Back! It’s revered as the greatest Star Wars film of all time, but then there are many fans who feel differently about that too. Hoth, Bespin, Dagobah – three new worlds that introduced us to a bevy of new characters. It will truly stand the test of time. ← Pop-Chips: The New Snack You're Looking For! Here he is! He’s the whole purpose for the stories told in the Prequel Trilogy and Original Trilogy. And no villain-turned-hero will ever come close. In toy form, he started out as the vintage Kenner Darth Vader figure. And this figure in incapable of losing its charm. Check out this figure in our Research Droids Reviews and be sure to add to the conversation. Reminisce your own childhood stories of this figure in our comments. Share your life-changing vintage Kenner experiences with us! Grab Vizam And Nysad While You Can: Those Cannons Are Disappearing! As per HasLab’s Exclusive Update #1, Hasbro added additional areas to the rails on Jabba’s Sail Barge to accept the existing cannon that came with both 2009’s LC Nikto Gunner [Nysad] (BD23) and 2013’s TBS [P1] Vizam (#17) figures, something JTA specifcially asked about at Toy Fair this year. As expected, the figures are selling out on the aftermarket so collectors can secure these accessories now. There are still a few on eBay (and Amazon), so you might want to see if you can secure one too. Some of the eBay aucions are completely untouchable, but you can find some loose sample for a great deal. It’s always possible that Hasbro can reissue either figure in The Vintage Collection, but why take the risk?? ← Happy 13th Anniversary To Revenge Of The Sith! Phoebe Waller-Bridge, who plays L3-37 in the Solo movie, was on the Graham Norton show and talked a bit about her audition for the role. It turns out that a) she had never seen a Star Wars movie before (which David Tennant who’s also a guest finds incredible) and b) didn’t even know what a droid is until she found out in the audition that a droid is some kind of “robot”. But still, she won the audition. Check out the clip! It’s really fun the way she tells it. Oh, and please don’t get too distracted by Phoebe’s dress! 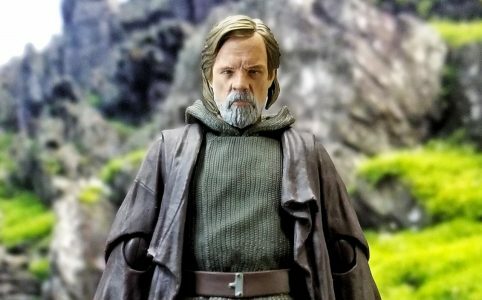 ← Check Out These Photos Of SH Figuarts The Last Jedi Luke! Happy 13th Anniversary To Revenge Of The Sith! Happy 13th anniversary to Star Wars Episode III: Revenge Of The Sith! It ended a Star Wars era, and we were told it was the last Star Wars film ever. Little did any of us know the saga would return a decade later in an entirely different light. Imperfect, but fun and emotional, it showed us step by step how Anakin Skywalker became Darth Vader. ← Happy 19th Anniversary To The Phantom Menace! Check Out These Photos Of SH Figuarts The Last Jedi Luke! The SH Figuarts Singapore Fan Club Facebook page has posted an album with photos of the brand new SH Figuarts The Last Jedi Luke in his island hermit outfit. Most people overseas will still have to wait a while before the figure arrives in the mailbox. Click through for a sneak peek at the figure. Happy 19th Anniversary To The Phantom Menace! Happy 19th anniversary of Star Wars Episode I: The Phantom Menace! For many, the film has aged like fine wine. Others beg to differ. This particular May 19th it celebrates 19 years in Star Wars fandom! Let’s check out the Clone Commander Wolffe 6″ figure which is a shared exclusive at three retailers! See it in our Research Droids Reviews today! Be sure to leave your thoughts in our comments section, vote in the poll or even comment about it on our Facebook page. Click the banner below for the direct link to the review! As always, you can also send your review requests via email if you’d like to see something that we didn’t cover yet. Now take this with a grain of salt (or maybe two) but website TMZ says they have obtained a copy of a production bulletin for the Obi-Wan stand alone movie. Click through for some details! You probably didn’t get this email, because Hasbro Toy Shop isn’t even aware of it at the moment, but there is an exclusive update to the HasLab Jabba’s Sail Barge. Special thanks to our friends at BanthaSkull for forwarding their email to us! eBay seller tunghori has a limited amount of Princess Leia Organa [Ceremonial] figures in stock. Special thansk to JTA reader Scott M. for the alert! ← How About An Instant The Black Series 6" Collection?! JTA presented a detailed breakdown of the 6 in Black Series a few days ago. Now it’s time to look at The Vintage Collection. The line was only resurrected a few weeks ago, time to look at the line as a whole. How many figures are there? How many exclusives? How does TVC compare with the Black Series? Click through to find out everything you want to know about TVC! How About An Instant The Black Series 6" Collection?! Do you want an instant The Black Series [Phase III] 6″ collection including some exclusives?! Here is one that starts at $1849! Special thanks to JTA reader Cybereye for the alert! Our final Visual Guide update for Star Wars [Solo] wave 2 basic figures is Kylo Ren. Click below to have a look at our full Visual Guide, and click here to check out our detailed review. ← Have You Ever Wanted to Be an Action Figure? 2018 NYTF Was The Best In Five Years, Make 2018 SDCC The Best Too! After their greatest Toy Fair Presentations in five years, I’m holding Hasbro to a higher standard to what each convention event should reveal. I jogged my memory and remembered 2011’s San Diego Comic Con was one of their many highlights from the past. (Check out the slide presentation gallery by click thing image below.) I hope that this year’s 2018 SDCC event will take the necessary strides forward to mimic the best presentations of years’ past. Great things are in store, but we want to see the signs of that proof now. So Hasbro, please make this year’s SDCC event the greatest in five years too! 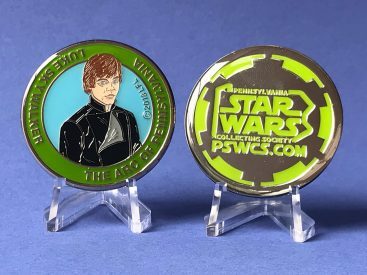 ← Sponsor Announcement: TVC Wave 17 Deals At Dorkside Toys! We've Had Chewbacca Mom. Is Yoda Mom Next? Uh-oh. Can we expect a viral Yoda Mom video next? JTA reader Driftgear alerts us to a previously unannounced role-play item: an electronic Yoda Mask with moving mouth on eBay! Orders yours today! Are you looking for some great deals on single The Vintage Collection figures? JTA sponsor Dorkside Toys has select figures for $8.99 each! Did you know that the Kylo Ren figure from the Star Wars [Solo] line is all-new? Check it out in our Research Droids Reviews today! Be sure to leave your thoughts in our comments section, vote in the poll or even comment about it on our Facebook page. Click the banner below for the direct link to the review! As always, you can also send your review requests via email if you’d like to see something that we didn’t cover yet. Update: I Goofed. Kylo Ren is NOT an all-new figure. Please see updated review for details. Hello Jedi Temple Archives, just wanted to let everyone know that wave 17 of the Star Wars The Vintage Collection 3.75 inch figures are now in-stock. We also have the Star Wars Salacious Crumb Vintage Kenner Action Figure & Star Wars Hookah Pipe and Slave Collar Kenner Accessory Set. We also have a sneak peek look for you at the Barnes & Noble/Disney Store/GameStop shared exclusive Clone Commander Wolffe figure from The Black Series [Phase III] 6″ line. Fans of The Clone Wars are inevitably going to fall in love with this figure, but I think it misses a few small marks. The approach of this figure feels like Hasbro was going for a hybrid appearance of his phase I and phase II armor (although clearly intended to be phase II) as reusing parts can sometimes muddy these defining waters. The all-new portrait is fantastic. His gross milky eye is perfection, as is the scar above and below it. The Wolfpack deco is beautiful and cleanly applied on his armor, and the articulation system is nothing out of the ordinary. The review is coming soon, but you can check out the full gallery and other things now! ← May Smuggler's Bounty "Solo: A Star Wars Story" Box Contents! The May Solo: A Star Wars Story themed Smuggler’s Bounty box has arrived. Spoiler’s apply. Click through at your own risk! Happy 16th Anniversary To Attack Of The Clones! Happy 16th anniversary to Star Wars Episode II: Attack Of The Clones! How a proper edit with an extended Battle of Geonosis segment and the removal of “Titanic in Space” will help you out much. Still, many can see your charm now since we can put things into better perspective. Feel free to share your memories and experience of this film in our comments. Is this a first?! Thandie Newton wore an exclusive Vivienne Westwood Couture which feature’s some of her Star Wars collection. Look at all of those Hasbro figures on her exquisite dress! Too bad they’re not the super-articulated ones! I jest! Check it out at Redcarpet-FashionAwards.com. Professional reviews for Solo: A Star Wars Story were released earlier tonight. Rotten Tomatoes has updated its page for Solo and now shows the Tomatometer: What does it say? Click through for more. ← EW's "Ultimate Guide To Solo" Is A Great Resource For The Film! The Hasbro Black Series is fast approaching its fifth anniversary. The line was launched in 2013 and the latest wave of figures for the Solo movie is in stores at the moment. I thought this was a good time now to look at the Black Series as a whole. This comprehensive overview will give you all the details you ever wanted to know. How many figures? How many heroes and villains? Click through for a detailed look at the Black Series! ← Pre-order The Former Walmart Exclusive 3.75" SA Scarif Stormtrooper Case! 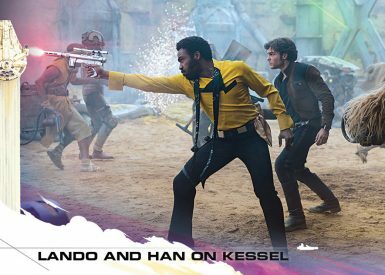 EW's "Ultimate Guide To Solo" Is A Great Resource For The Film! JTA reader Mike R. alerts us that the Entertainment Weekly Ultimate Guide To Solo issue is worthy of your money and time. He sends us a couple of images from it, including the screen version of the Kessel Guards which we believe, haven’t been seen until this issue. Check out the thumbnails below. 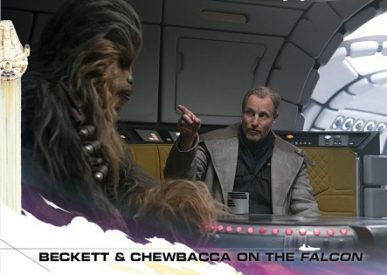 Another behind the scenes featurette for Solo: A Star Wars Story was released earlier today. 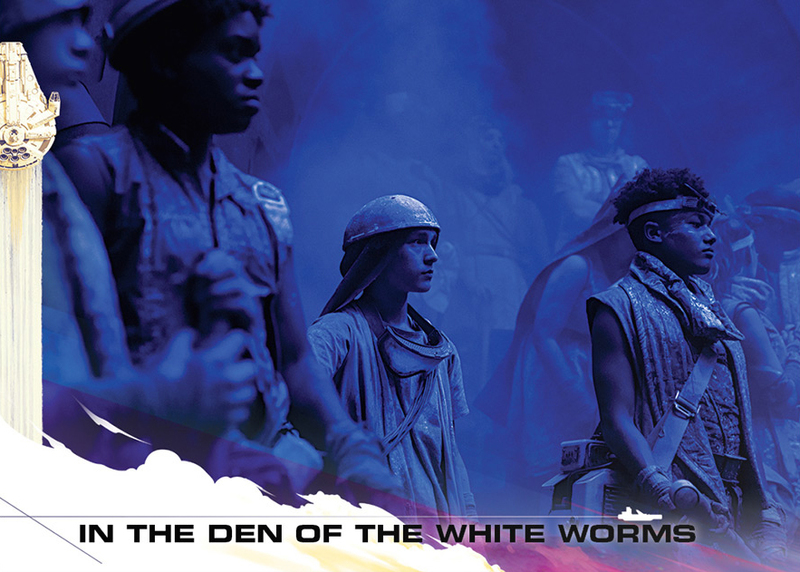 It gives a brief glimpse into the work of the director of photography, hair and make-up designers, special creature effects and costume designer. It’s only a minute or so and well worth your time! Check it out! And click through for a few screenshots from the featurette. Wave 2 from the Star Wars [Solo] basic figure line is hitting shelves, and tonight we have Princess Leia Organa as our Visual Guide update. Click below to have a look at our full guide page. You can also read our full review on this figure right here. ← HURRY! tunghori Has The 3.75" SA Elite Praetorian Guard IN STOCK! Hasbro: please help a community out once again. This is the ONLY version of Shasa Tielon the market today. It’s a Micro Machines figure for Pete’s sake! (I thought I saw a LEGO mini figure yesterday, but it seems to have disappeared). 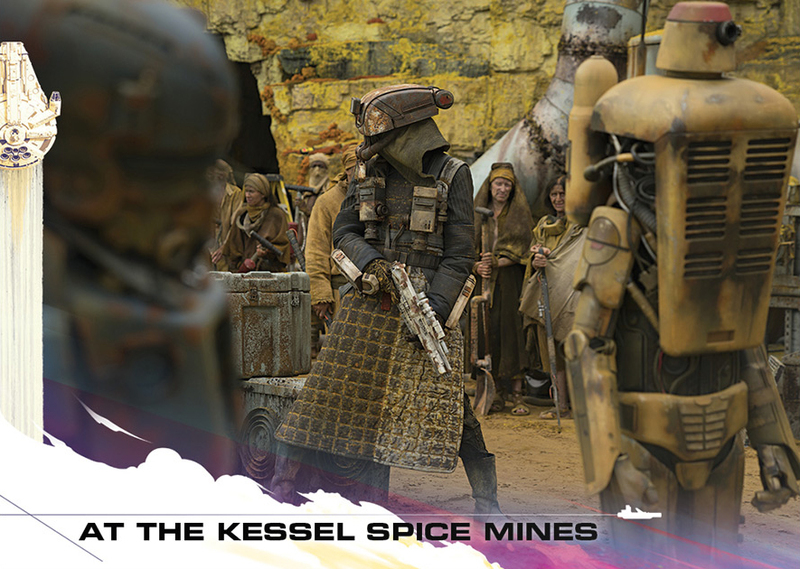 This character is prominent both in Jabba’s palace as well as The Khetanna. So please make this figure a reality for The Vintage Collection? She would make a great release and we need more female aliens in our collections! They’re not complete without her! Harrison Ford “crashes” Alden Ehrenreich’s interview and exclaims “Get out of my life!” Check it out at MSNBC! JTA reader and friend Matthew Sebastian W. from Hong Kong China sends us better images of the “yet unannounced” Stormtrooper *with blaster effect) TRU exclusive (not in the USA). MSW also lets us know that this pack converts to $34 USD. Reasonable. She may be simply articulated but she is one of the nicest sculpts of a cold-weather Princess Leia Organa action figure we have received to date. See why you’ll probably need her in our Research Droids Reviews today! Be sure to leave your thoughts in our comments section, vote in the poll or even comment about it on our Facebook page. Click the banner below for the direct link to the review! As always, you can also send your review requests via email if you’d like to see something that we didn’t cover yet. In what seems like something that’s out of the blue, multiple sellers on Amazon have the Walmart exclusive TBS6 [P3] Kylo Ren (Throne Room) figure for around $23. (Be sure to check all sellers for the best deal.) What’s interesting about this is all of the complaints that this figure never showed up at many collectors’ local Walmart stores. Now it’s on Amazon for cheaper than Walmart is selling it. The vintage Kenner Chewbacca figure is a universal favorite. The figure was reissued throughout the entire Kenner run. 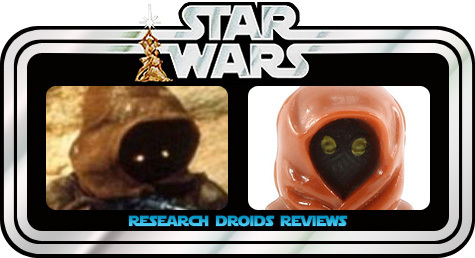 Check out this figure in our Research Droids Reviews. Please add to the conversation and reminisce with us as we talk about our life-changing vintage Kenner experiences. We want to hear your childhood stories and more too! Our Disney Toybox section gets an update this evening with the addition of Princess Leia Organa (7) to the Visual Guides. Click below for a complete look. Make sure to also read our full review right here. In this weeks newsletter, our customers will see more AFA Modern Graded Figures. These figures are great for collectors who want to add graded items to their collection without paying a high price to do so. We also have some exciting new licensed artwork that can help liven up someone’s home along with newly added preorders! Another addition to our newsletter are newly released vintage style items. One is Salacious Crumb who appears next to Jabba the Hutt and the other is Jabba’s Pipe and Slave Collar. ← Force Link 2.0 Wave 2 ALSO FOUND At TARGET In South Jersey! JTA reader and friend Mario M. sends us an image of a new miniature-sized Millennium Falcon that has been put out at Disneyland theme parks in CA. It looks pretty great. Alden Ehrenreich and Donald Glover recently appeared on Jimmy Kimmel Live to promote Solo: A Star Wars Story. Both Ehrenreich and Glover showed off clips that should get even the most pessimistic of us excited. In addition, they talked about what its like to take over these iconic roles and the advice they got from Harrison Ford and Billy Dee Williams. Apparently Ford’s advice involved complaining about Ewoks while Billy Dee kept it simple (and charming as always). Click through to watch the interviews! ← Found! Force Link 2.0 Wave 2 Basic Figures Hit Meijer! Following the world premiere of Solo: A Star Wars Story, the first reactions to the film have begun to show up online. Unsurprisingly, Donald Glover’s portrayal of Lando received universal praise from the attendees who have shared their thoughts so far. Several attendees also praised Phoebe Waller-Bridge’s performance as L3. But what about Han Solo? The early word of mouth is largely positive, although some admitted that it takes time for Alden to find his footing and for your brain to adjust to seeing someone besides Harrison Ford play Han Solo. The most common takeaway from these early reactions seems to be that this film is fun first and foremost. Premiere reactions are almost always universally positive, so as usual take them with a grain of salt. Head over to Nerdist to read through the early reactions yourself! Found! Force Link 2.0 Wave 2 Basic Figures Hit Meijer! Yes! Wave 2 of the Star Wars [Solo] Force Link 2.0 wave has been found at Meijer in Mishawka Indiana! They’re out there folks! Special thanks to JTA reader Mark H. for the report! 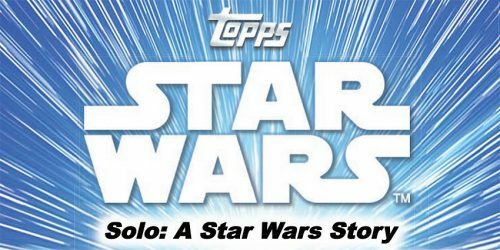 ← Holographic Maz Kanata Revealed In Unannounced Multipack! 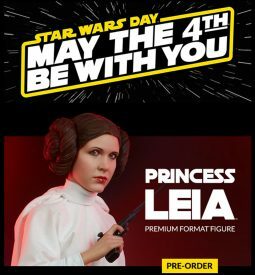 Here is another fantastic release from the Star Wars Toybox line: Princess Leia Organa. Check her out in our Research Droids Reviews today! Be sure to leave your thoughts in our comments section, vote in the poll or even comment about it on our Facebook page. Click the banner below for the direct link to the review! As always, you can also send your review requests via email if you’d like to see something that we didn’t cover yet. Holographic Maz Kanata Revealed In Unannounced Multipack! TBS6 [P3] Dewback Running Change/Variation? We are adding the very well done The Black Series [Phase III] Walmart exclusive Stormtrooper (Mimban) to our Visual Guides. Click below to have a full look at the latest 6-Inch figure release. Make sure to also check him out in our full review. 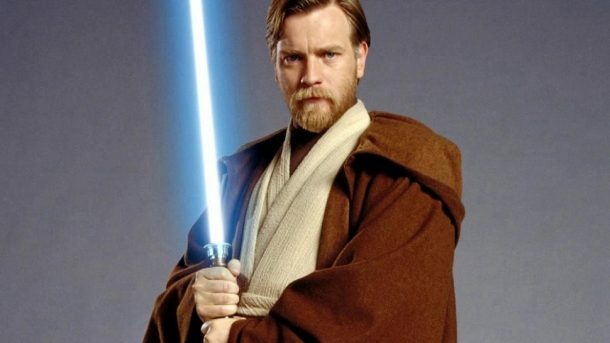 ← Obi-Wan Kenobi Stand Alone Movie In Pre-Production! Obi-Wan Kenobi Stand Alone Movie In Pre-Production! Our colleagues from Fantha Tracks have an exclusive report on their website. According to one of their sources the Obi-Wan Kenobi stand alone movie is currently in pre-production and filming is scheduled to begin in spring 2019. Tentative release date is December 2020. What do you think? Are you excited for an Obi-Wan movie? Read the full article on Fantha Tracks! The Stormtrooper (Mimban) 6″ figure is stunning. See why you need one in our Research Droids Reviews today! Be sure to leave your thoughts in our comments section, vote in the poll or even comment about it on our Facebook page. Click the banner below for the direct link to the review! As always, you can also send your review requests via email if you’d like to see something that we didn’t cover yet. Check out this video by WIRED on YouTube. It’s about two Star Wars fans who build their full-size Millennium Falcon Cockpit in a garage. With lights and sounds. Isn’t this something we would all like to have? ← New TBS6 [P3] Stormtrooper (With Blast Accessories) Revealed! New TBS6 [P3] Stormtrooper (With Blast Accessories) Revealed! Website Dark Side Toys has just put up a pre-order for a The Black Series [Phase III] Stormtrooper (With Blast Accessories) figure. Strange. Check it out. ← BOGO 50% Funko Pop! Sale At Entertainment Earth! The following clip was shown on Jimmy Kimmel live. 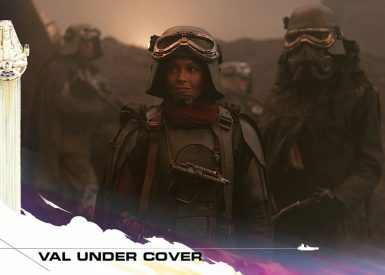 It’s a 30 second preview of a full scene on Mimban. Don’t watch it if you don’t want to be spoiled, since the scene gives away something important! But if you do, then click through and leave a comment! BOGO 50% Funko Pop! Sale At Entertainment Earth! There is a fantastioc Funko Pop! sale at site sponsor Entertainment Earth, Get them while the getting is good! ← Sneak Peek! The Vintage Collection's Rey (Island Journey) (VC122) Walmart Ex. Well, the Stormtrooper (Mimban) Walmart exclusive The Black Series [Phase III] figure is plain stunning. Hasbro utilized the 2013 TBS [P1] Stormtrooper (#09) figure of course and gave it an all-new head sculpt and artful and incredible new paint job. (Even the figure is cast is an off-white plastic.) They also added a soft-goods cape that Hasbro tied to the figure (a first for this line). The battle-damage and dirt is mind-blowingly good. Hasbro should be proud. Let’s hope The Vintage Collection version is just as good. Check out the gallery now, and the review is coming soon! ← Hurry! Princess Leia (Hoth) Force Link 2.0 Back In Stock! WARNING! SPOILERS! Mark Hamill let it slip that a major Star Wars character will appear in Solo: A Star Wars Story. The Huffington Post has the full story. 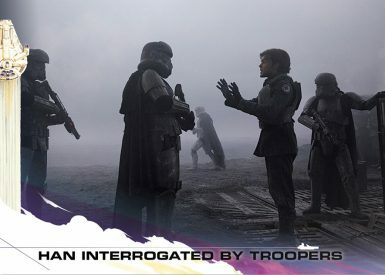 The Black Series Mimban Stormtrooper Sneak Peek! A full review with all details by Paul will follow, but I wanted to give you a sneak peek at the Mimban Stormtrooper who is, in my opinion, a fantastic figure! Click through for a first look! UPDATE: This figure is now officially in our RDRs database! Check it out HERE. We’re continuing to add the fabulous vintage Kenner Star Wars action figures to our Research Droids Reviews. Let’s continue the momentum with the lovely Princess Leia Organa. Please reminisce with us as we talk about our life-changing vintage Kenner experiences. LRMOnline reports that the review embargo for Solo: A Star Wars Story will be lifted on May 15h. Which is also the day the movie is screened at the Cannes Film Festival in France. Disney must be pretty confident that Solo will be a success with critics. Bad movies usually have their review embargos lifted only on the day of release or maybe a day before. That Disney is lifting it a full 10 days before official release is a good sign! Expect reviews as early as next Tuesday! There is yet another new promo trailer for Solo. It’s not available on the official Star Wars YouTube Channel. Check it out and then click through for a list of what each character in the movie stands for – as revealed in the latest spot! ← National Today Asks "What Is Your Favorite SW Movie?" Fans Anwer "ESB!" Our next The Black Series [Phase III] 6-Inch figure update is Qi’ra (Corellia) (66). Click below for our full Visual Guide page. Make sure to also stop by and check out our full review. 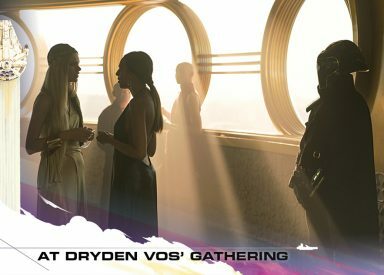 ← StarWars.com Asks "What Is Your Favorite SW Movie?" 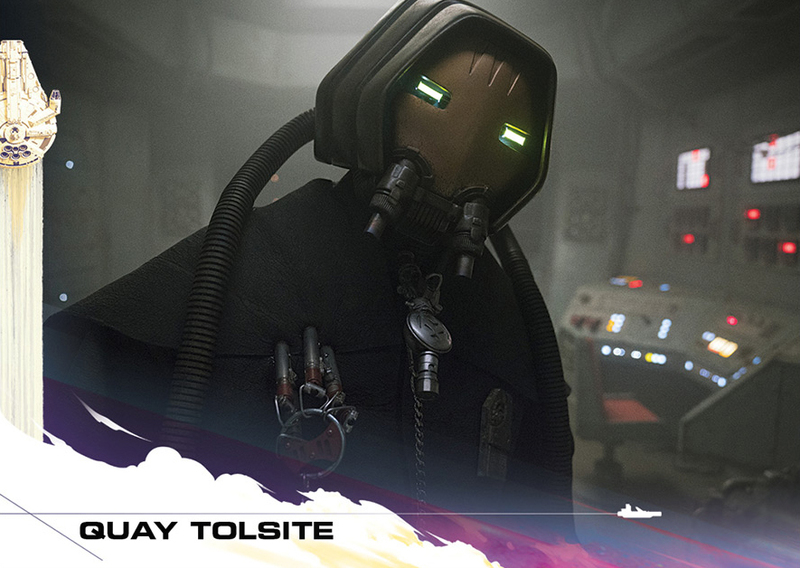 Fans Answer: "TLJ." National Today Asks "What Is Your Favorite SW Movie?" Fans Anwer "ESB!" National Today, the website that commemorates quirky and fun holidays, polled US moviegoers about all things Star Wars for May 4th. It will put that Starwars.com poll into perspective! Click through for some of the representative results! 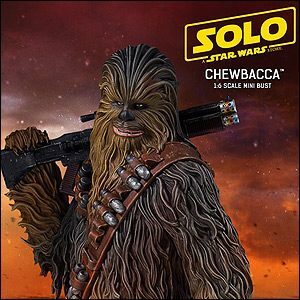 ← TBS6 [P3] Chewbacca [Solo] BACK IN STOCK At TARGET.com! Another great release in The Black Series [Phase III] line is Qi’ra (Corellia). FInd out why in our Research Droids Reviews today! Be sure to leave your thoughts in our comments section, vote in the poll or even comment about it on our Facebook page. Click the banner below for the direct link to the review! As always, you can also send your review requests via email if you’d like to see something that we didn’t cover yet. ← GameStop Online Only The Black Series [Phase III] Discounts! TBS6 [P3] Chewbacca [Solo] BACK IN STOCK At TARGET.com! Hurry! The TARGET exclusive The Black Series [Phase III] Chewbacca (Solo: A Star Wars Story) figure is IN STOCK at TARGET.com! If you need some prompting to why you NEED this figure, check out our review of it too! We have the latest Target exclusive The Black Series 6-Inch figure ready for our Visual Guides. Click below to check out the Solo: A Star Wars Story version of Chewbacca. You can also catch this in our review database right here. ← HURRY! The Awesome TBS6 [P3] Chewbacca "Solo" Is IN STOCK! Star Wars is a global phenomenon. And it has always been quite popular across Western Europe, Japan and Australia. Therefore, it might be interesting for people in the USA to learn what people in other countries such as Germany actually think about Star Wars and who the fans are. The SINUS Institute and YouGov conducted a representative Star Wars survey in Germany and published their results on May 4th. 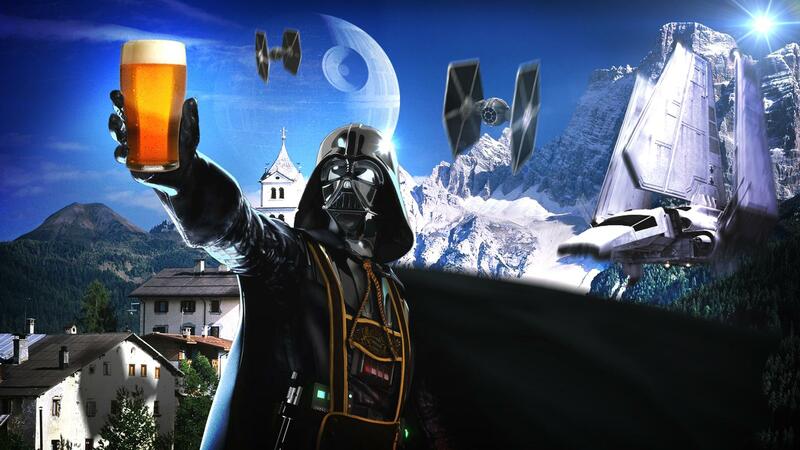 Click through to find out how German Star Wars fans tick and who they are! HURRY! The Awesome TBS6 [P3] Chewbacca "Solo" Is IN STOCK! It’s not the same old Chewbacca figure. 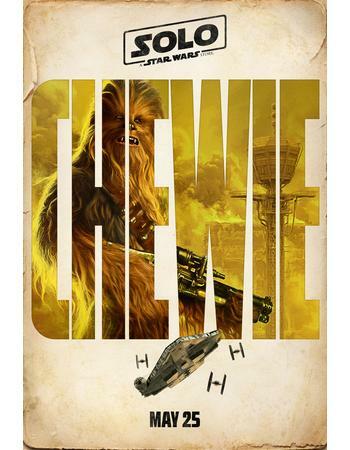 This one is MUCH, MUCH better because this version actually looks like Chewbacca! It also has AWESOME accessories. See why you might NOT want to pass this version by in our Research Droids Reviews today! Be sure to leave your thoughts in our comments section, vote in the poll or even comment about it on our Facebook page. Click the banner below for the direct link to the review! As always, you can also send your review requests via email if you’d like to see something that we didn’t cover yet. 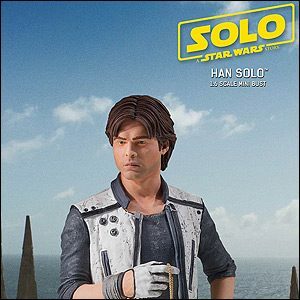 Just wanted to let everyone know that we have just restocked your Black Series Solo Movie figures. We are also taking pre-orders for the Admiral Piett Exclusive Figure. First there was nothing, but ever since the marketing engine for Solo started rolling, it’s been steaming ahead at full speed. There’s yet another new TV spot for the upcoming Solo movie. It’s short, features mostly snippets we’ve already seen but one new great gag at the end. Click through for a few screenshots! Deadline reports that advance ticket sales for Solo: A Star Wars Story are breaking records. Within 24 hours ticket sales for the movie on Fandango bested Black Panther’s advance ticket sales and only come in behind advance ticket sales for Avengers Infinity War. Click through for more! 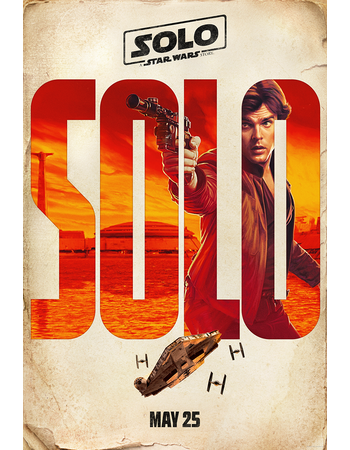 You are going to need a lot of points if you are going to pick up the 7 Solo: A Star Wars Story theatrical posters that are now available on Disney Movie Rewards! The Lando and Qi’ra character posters, along with the full cast teaser poster have now been added. If you need points you can pick them up on eBay for about $20 per 1000. That puts each poster at around $18. Happy hunting! 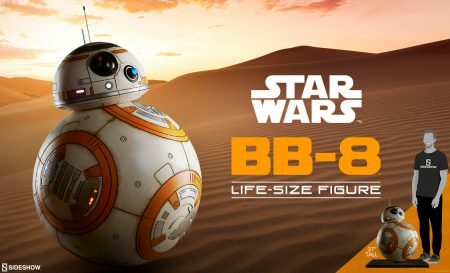 BB-8 2 In 1 Mega Playset Only 75% OFF On Amazon! And speaking of BB-8, if you missed our Facebook alert hours ago, the BB-8 2 In 1 Mega Playset is only $49.99 on Amazon. I particularly find this a shame. This playset was actually a lot of fun. It’s totally worth $50. Grab it! Visual Guide Action Photography contributor Trevor Williams (AKA OneSix_Shooter) posted this amazing all in-camera shot on Instagram for his May the 4th Be With You tribute. Fantastic job Trevor! ← Great Deal For TBS6 [P2] Prototype Boba Fett And Jabba The Hutt! Great Deal For TBS6 [P2] Prototype Boba Fett And Jabba The Hutt! Hey! This is a great deal! 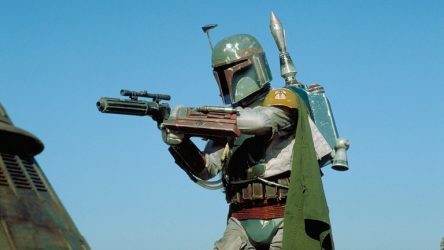 On Amazon there is a bundled set of the Boba Fett (Prototype Armor) and Jabba The Hutt 6″ figures. They’re on sale for $44.99 as a SET! Special thanks to friend Steve U. for the alert! 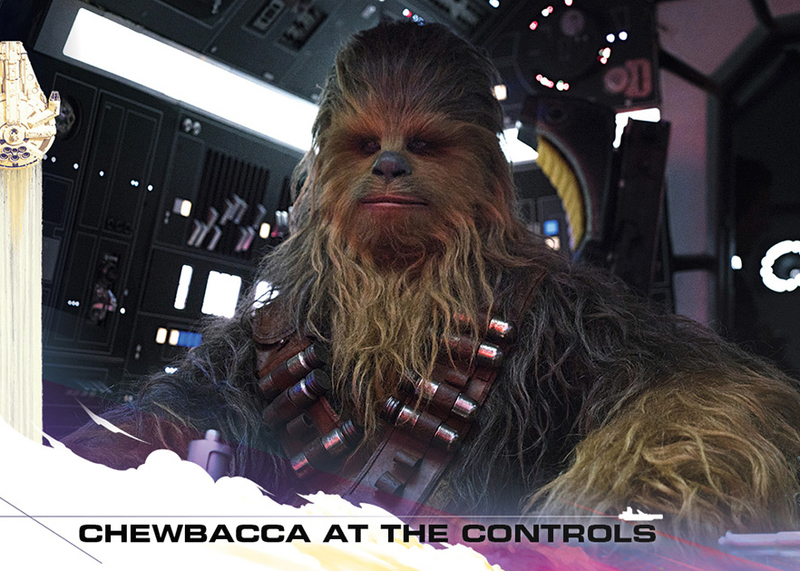 ← Watch How Chewie Becomes Han's Co-Pilot! We’d like to thank Litzy PR and Hasbro for the gracious Solo: A Star Wars Story Media Kit. Inside of this box includes a nice helping of new toys to support the film, including the Kessel Run Millennium Falcon. ← Tell Us About Your First Star Wars Action Figure! Watch How Chewie Becomes Han's Co-Pilot! A preview of a full scene from the upcoming Solo: A Star Wars Story was shown on CBS. Check out the video below! We learn how Chewie takes over as co-pilot of the Millennium Falcon! Tell us in the comments what you think! ← How Fans Helped Hasbro Build The Biggest Ship Ever! Tell Us About Your First Star Wars Action Figure! What was your very first Star Wars Action figure? And when did you get it? Was it a gift? Did you buy the figure with your own pocket money? Do you still own the figure? Tell us in the comments and share some fond memories! Click through for my tale about my first Star Wars action figure! ← Hurry! Pre-order Force Link 2.0 Wave 2 NOW At Hasbro Toy Shop! How Fans Helped Hasbro Build The Biggest Ship Ever! There is a fantastic article on Wired.com recounting the many tense moments of Hasbro’s first HasLab campaign. They also interview our friend Steve Sansweet and get his feedback on it. Check it out! ← Hasbro Toy Shop: May The 4th Promo Code! GameStop Exclusive TBS6 [P3] Inferno Squadron Agent For $16! The Black Series [Phase III] Inferno Squadron Agent GameStop exclusive is ON SALE for $16.09. Special thanks to JTA reader Agustin for the alert! Swear Wars: "Curse" Like Your Favorite Star Wars Characters! Learn how to curse like your favorite Star Wars characters! Special thanks to James M. for drawing our attention to this! ← Solo: A Star Wars Story Movie Tickets Now On Sale! For years, our readers have requested we open up categories in our Research Droids Reviews for the incredible vintage Kenner Star Wars action figures, a line where 5POA WAS OK. With the rebirth of The Vintage Collection, the 40th anniversary of when the first Star Wars figures hit retail (in 1978), and May the 4th, everything has been perfectly aligned for us to deliver this to you finally. We feel now is a picture-perfect time to begin our trek down this road. We want this to be an interactive experience for YOU. 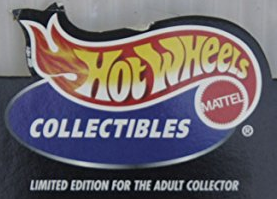 I prattle enough about the modern Hasbro figures, so we want these “reviews” to be more reflective and nostalgic, just like the figures. You’ll notice a MAJOR revision to our review template. It now features a vintage Kenner-inspired theme and a different approach to the discussion. For us, these 92+ specimens are perfect as is. It would be futile to rate them as good, average or poor. So you’re also not going to see a summary describing the figure or how it ranks among others. Instead, I will be sharing my own personal experiences growing up with vintage Kenner Star Wars figures (in a very brief write up), and in turn, I want you to share your experiences with me in the comments. The poll has also changed. You still have five options, but they focus on your personal experience with the figure at hand, not how you’d rank it among other vintage Kenner figures. You’ll still find a great deal of collector-friendly notes and documented variations that exist. Also, we want to emphasize that these reviews are a work in progress. If you think other valuable information should be included here, feel free to drop us a line and let us know what we’re missing. I hope you will reminisce your experiences of the vintage Kenner figures together with me. Chuck and I put a lot of work into this format, and we both hope you find it to be another fun experience here at Jedi Temple Archives. Click through for our first review: Luke Skywalker. We hope you thoroughly enjoy it. ← BREAKING NEWS! JTA's Rumored TBS6 Admiral Piett An EE Exclusive! 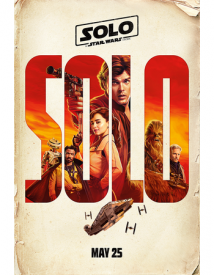 Solo: A Star Wars Story Movie Tickets Now On Sale! It’s time to get your tickets to Solo: A Star Wars Story! If you get them through Fandango, you get a free poster. ← Can You Trust Movie Critics? BREAKING NEWS! JTA's Rumored TBS6 Admiral Piett An EE Exclusive! ← It's Time Now For Disney To Fully Reveal The Droid Factory Sandcrawler! Can You Trust Movie Critics? Ever since The Last Jedi was released Rotten Tomatoes Audience Scores, Cinemascores and whatever professional critics had to say was hotly debated. There has been a distinct feeling among quite a few moviegoers that whatever the Tomatometer or Metascore says is far removed from what the fans think about a movie. Cinemascore is something that is usually cited as a highly scientific and accurate gauge. But for what? Audience satisfaction? In this article I will try to examine if the aggregate scores by professional movie reviewers on Rotten Tomatoes and Metascore are actually far removed from what the fans feel. Click through to learn some surprising things! If you’re looking for the Dewback/Sandtrooper set from The Black Series [Phase III] line, TARGET.com has it in stock! ← Here's Where The Fun Begins! You’ve requested them for years. And “now” is the right time to start. Be sure to visit us tomorrow because we’re taking our first step into a larger world. We must do what we feel is right, of course. Disney Movie Rewards added not one, but three new posters to the DMR site. They will set you back 800 points each, so start saving! ← John Boyega Drops Hints About Finn's Physical Change And More! ← If You Decided To #backthebarge With PayPal: PLEASE READ! John Boyega Drops Hints About Finn's Physical Change And More! Star Wars actor John Boyega has dropped a hint about a physical change that may be in store for his character in the next instalment of the franchise. Yahoo! Finance has the full story. ← 2018 MSRP: "This Is The Hand We've Been Dealt!" If You Decided To #backthebarge With PayPal: PLEASE READ! My gut told me that this was inevitable and I was right. Collectors who backed Jabba’s Sail Barge and used PayPal as their form of payment might be in a pickle (if you don’t have a backup method of payment that is). We have received confirmation that Hasbro is calling these affected backers of the barge and alerting them that they have until 5 PM on Thursday to provide them with a credit card number (not another attempt at the PayPal transaction – they will NOT attempt another PayPal transaction), or their Barge orders will be canceled. They will also NOT allow you to place a new order for the Barge so you can utilize PayPal again. It’s credit card or bust. You may have received your Behind The Workbench book. It doesn’t matter. PayPal is declining a few orders for reasons that aren’t yet totally clear. I don’t know if it’s because of a certain cutoff date or not, so if your PayPal transaction went through and the monies were debited, your order should be fine. Call Hasbro Customer Service at 1-800-408-0052 for more information on this. UPDATE: SO far it looks like very few people were affected. Good news! 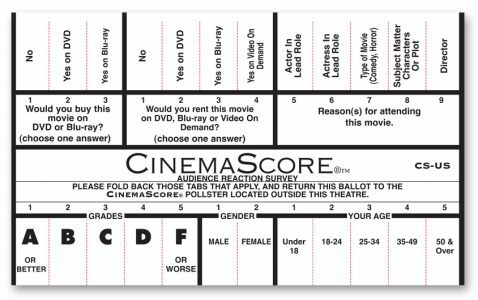 Ever since The Last Jedi was released and the Rotten Tomatoes Audience Score dropped to lower and lower levels it was argued that Rotten Tomatoes is unreliable, prone to tampering and that services such as Cinemascore are highly scientific and much more accurate, since they are also used by the movie industry. This article wants to investigate if various claims about Rotten Tomatoes and Cinemascore are true. Click through to find out more! ← UPDATE: Pre-order The Vintage Collection Imperial Combat Assault Tank Vehicle! Hey! The Black Series [Phase I] Stormtrooper #09 figure is IN STOCK at Amazon for $22.99 Prime. Special thanks to friend Steve U. for the alert! UPDATE: Pre-order The Vintage Collection Imperial Combat Assault Tank Vehicle! Entertainment Earth has opened pre-orders for The Vintage Collection Rogue One Imperial Combat Assault Tank vehicle. It retails for $79.99 and has June 2018 availability. UPDATE: The Imperial Combat Assault Tank accidentally went up for pre-order too soon. We have been asked to removed links to this post. It should be back up for pre-orders in a couple of months per Entertainment Earth. ← How Many Solo Cups Does It Take To Build A Millennium Falcon? Everything seems to be going up in price anymore, and the Disney Droid Factory collections released a couple of years ago are no exception. JTA friend and moderator Sjefke alerts us to this crazy auction, but if you search for individual parts, they go for an elevated amount too. And you thought Jabba’s Sail Barge was expensive, huh? 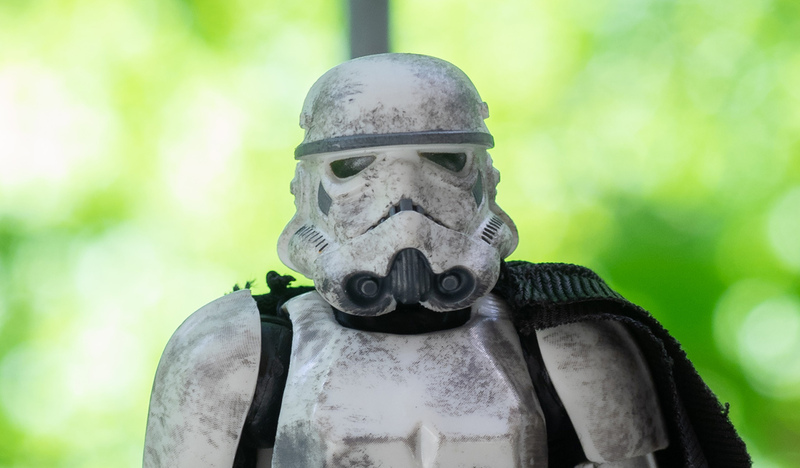 ← Could A New 3.75" Stormtrooper Be Imminent? And What About Articulation? How Many Solo Cups Does It Take To Build A Millennium Falcon? Check out this new article on StarWars.com where they reveal a Millennium Falcon made out of disposable Solo drinking cups. It’s pretty cool. Special thanks to friend Martin M. for the alert! 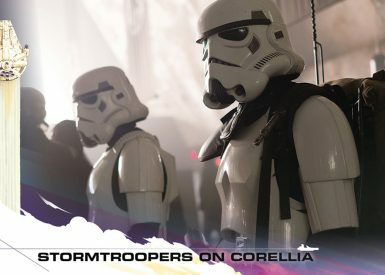 Could A New 3.75" Stormtrooper Be Imminent? And What About Articulation? The point of this article is two-fold. Firstly, after multiple conversations with collecting friends (thank you Josh and Chris), we all think that a new super-articulated Stormtrooper could be in the works. Hasbro would need to tweak a couple of things on the Walmart exclusive Stormtrooper (Mimban) figure, but they could easily give us our definitive Imperial Stormtrooper finally. (WITH NO REMOVABLE HELMET!) Secondly, how do you feel about Hasbro’s new approach to articulation in the super-articulated 3.75″ scale? I personally am thrilled to see the inclusion of ball-jointed wrists and swivel thighs now. But what I sorely miss are “rocker” ankles. Would you prefer that Hasbro eliminate something in order to bring the “rocker” ankles back? Or are you fine with the way things are? Let us (and Hasbro) know in the comments!